If you are a first-time visitor, please be sure to like us on Facebook and receive our exciting and innovative tutorials and info! 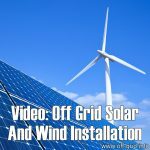 Here’s a very matter-of-fact video that will tell you all you need to know about creating your own small scale solar power system. This one was made for use on a boat – it is very compact and could be used in all sorts of locations. Robert Berndt clearly explains the function of each component in the system and how they are connected together – it is important to do this in the right order, which he will show you. The principles shown here can be scaled up for a larger system, all you need to do is check the limits for each component and buy accordingly. 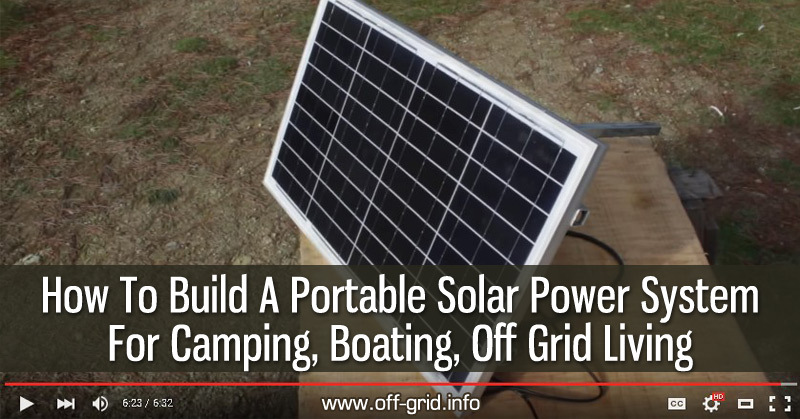 For larger systems, you’ll need more/ bigger batteries, a sine wave inverter, and heavy duty wiring. Inverter – converts 12-volt DC to 110-volt or 240-volt AC power so you can plug in standard household devices, up to 1500W (safer to stay well below the max output level). If you use your system for 12-volt appliances only, it will be more efficient without an inverter, otherwise, connect it only when needed or use a relay switch that will isolate it when not being used. Charge controller – fully adjustable, the readout gives battery voltage level, current input and redirects excess power. Load breaker – protects sensitive equipment. Diode block – sometimes built into the solar panel. Battery – worth buying a good one, preferably a deep cycle battery that will last much longer and can handle regular discharging. Heat sink/ spotlight – to disperse excess power. 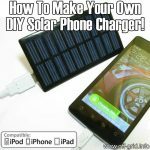 Another useful tip: don’t forget to earth your battery and the metal casing of the inverter if there’s no earth terminal. 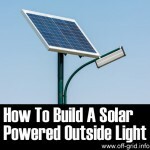 Video Tutorial: Make Your Own Solar Panel!